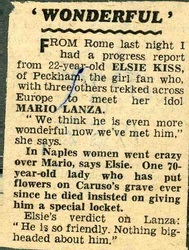 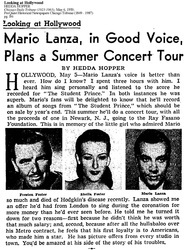 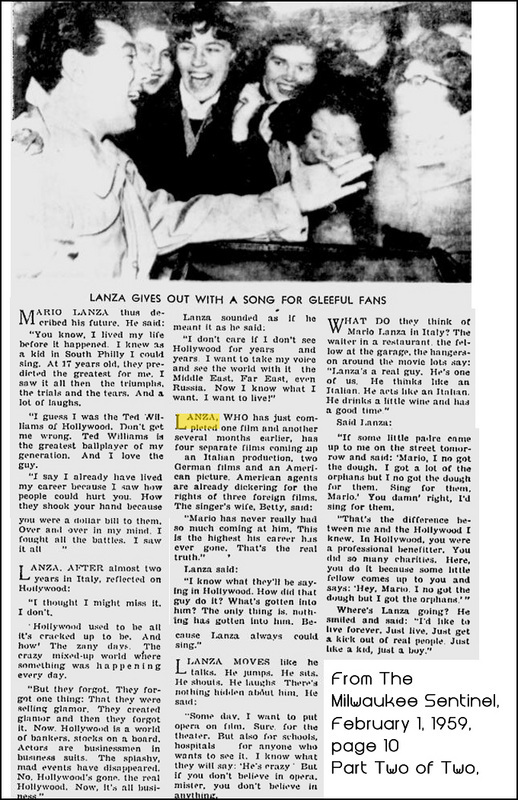 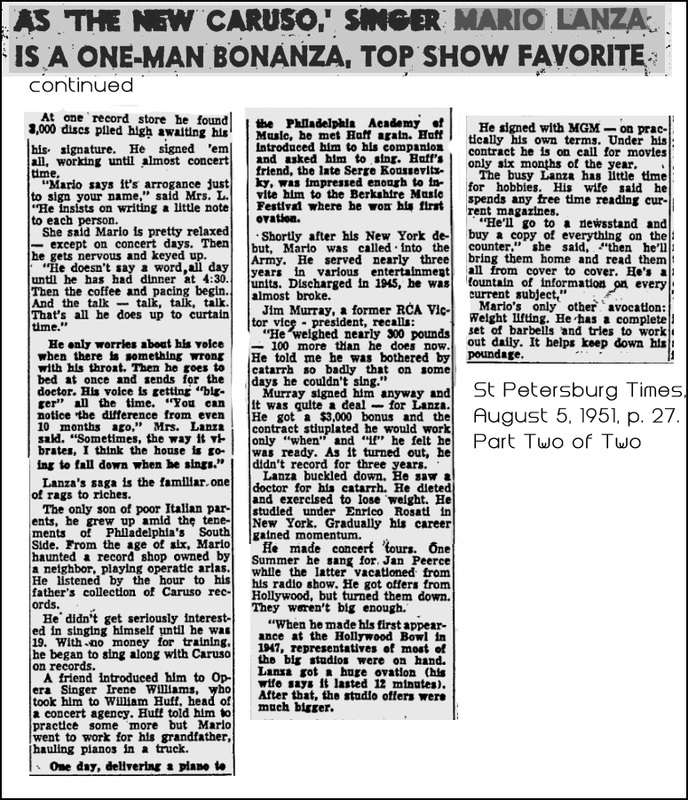 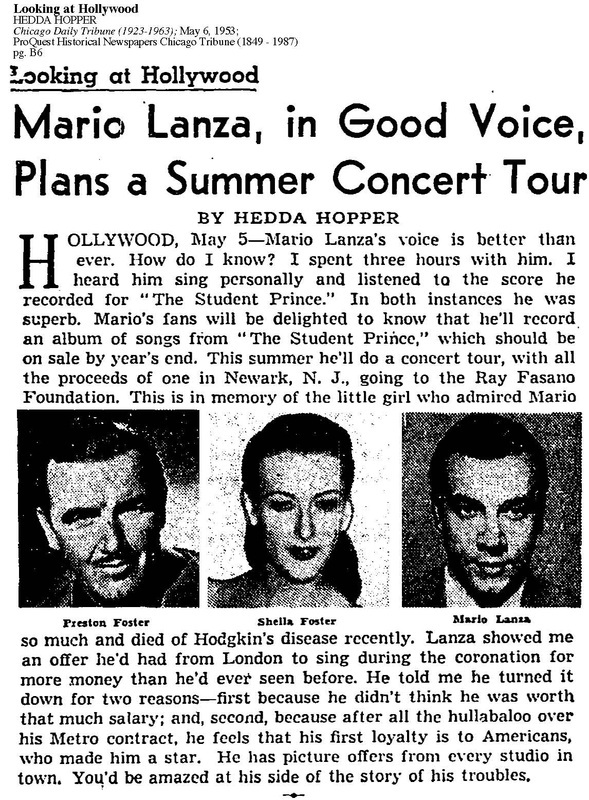 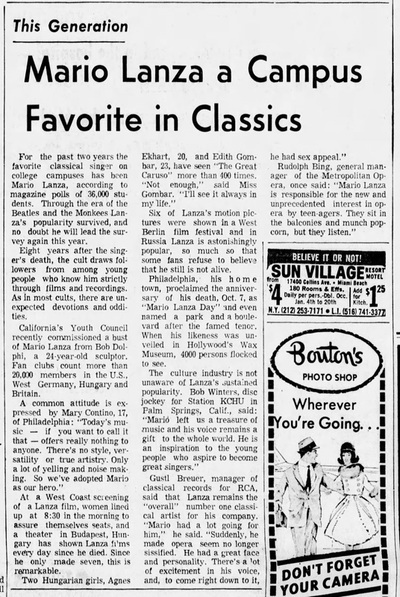 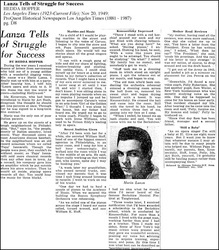 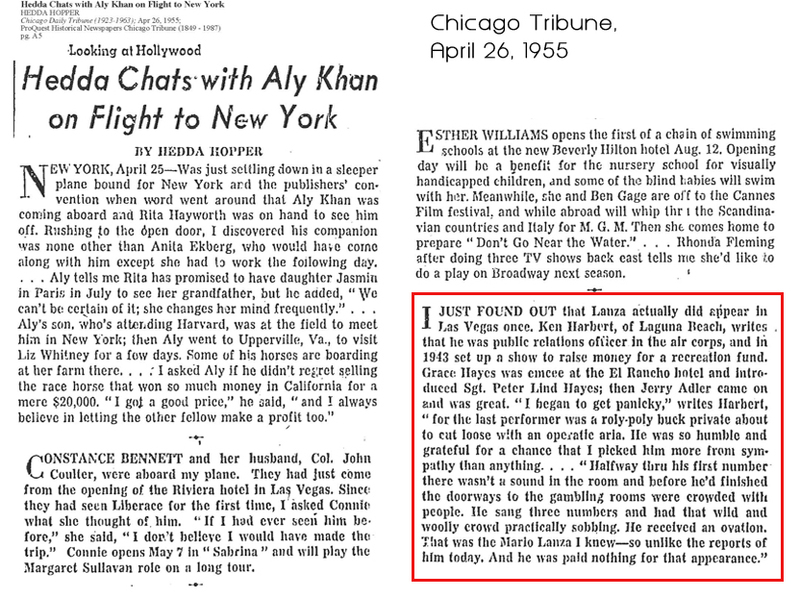 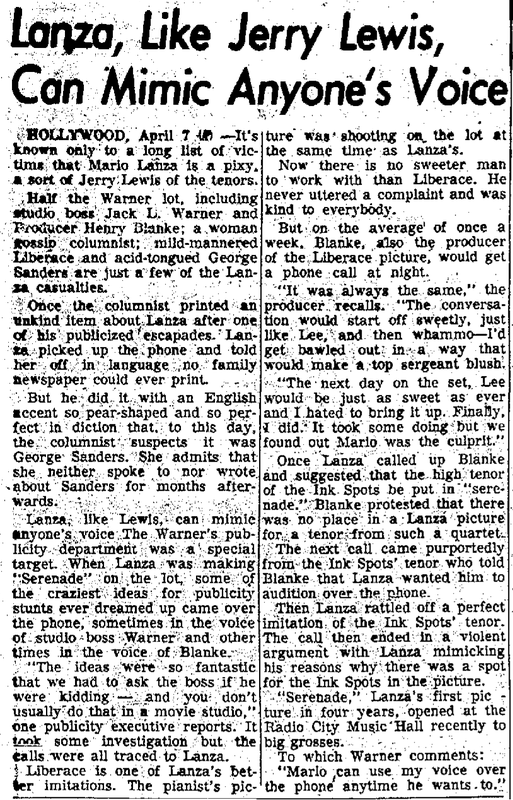 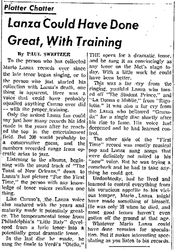 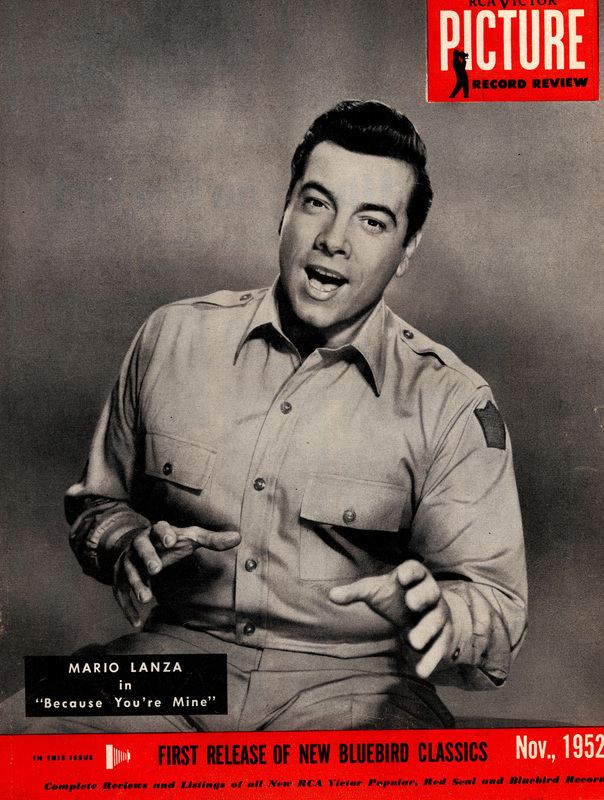 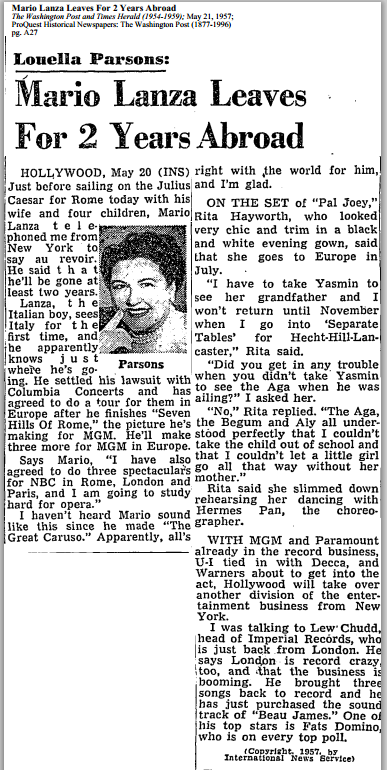 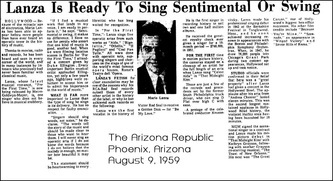 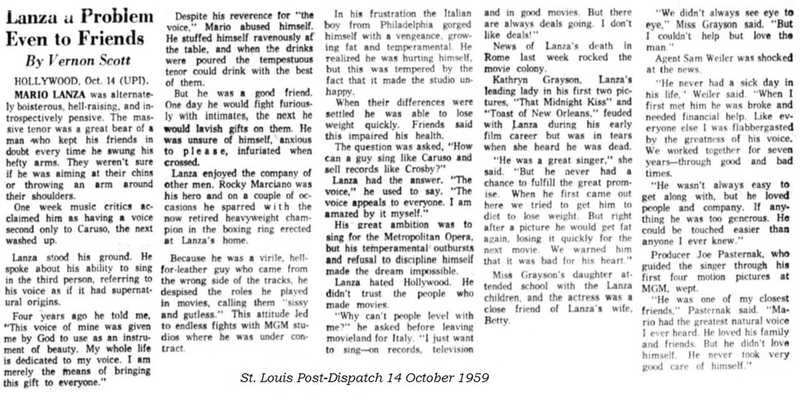 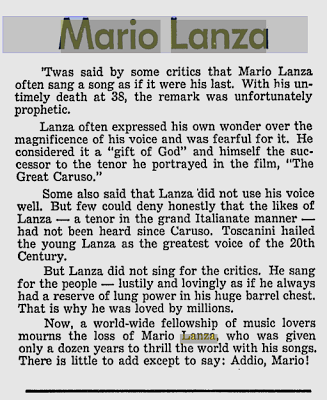 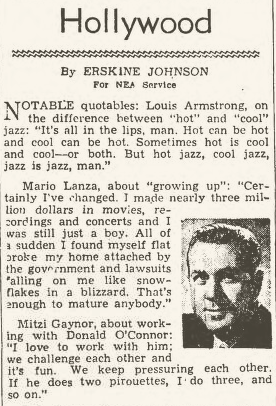 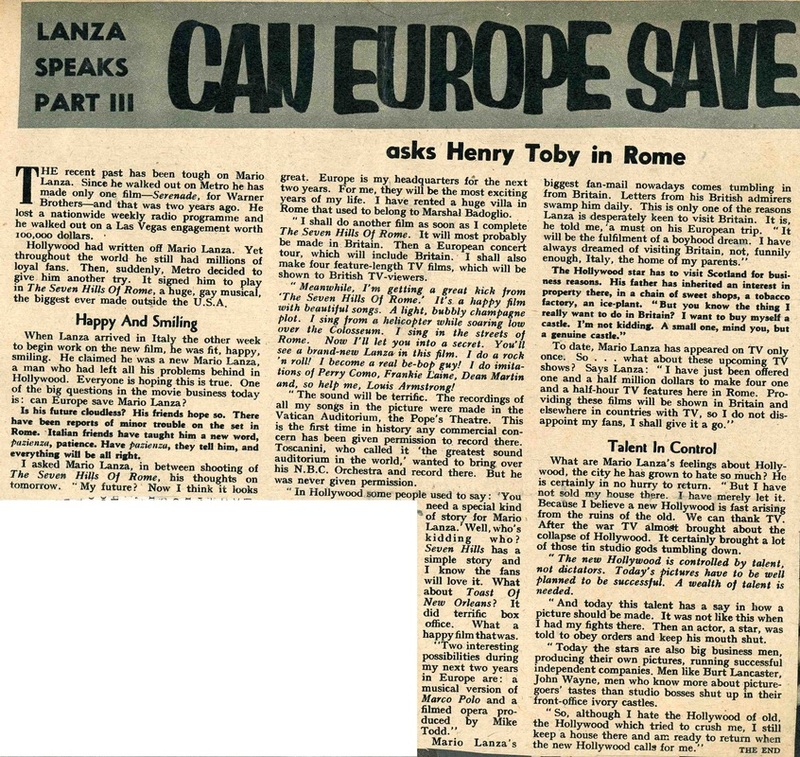 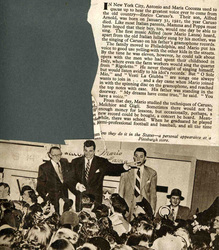 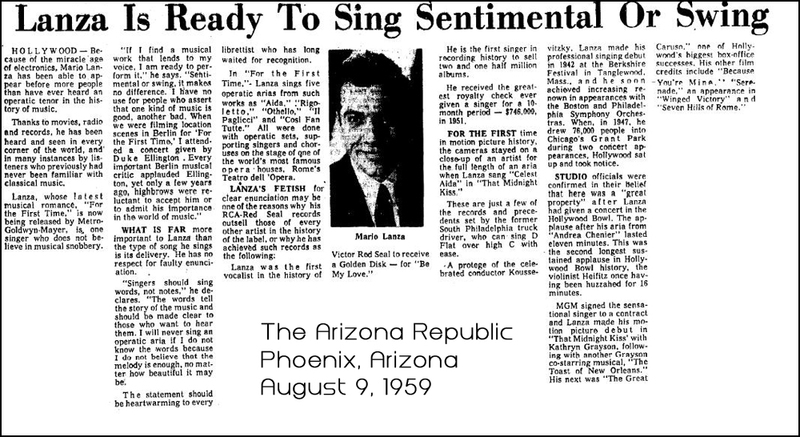 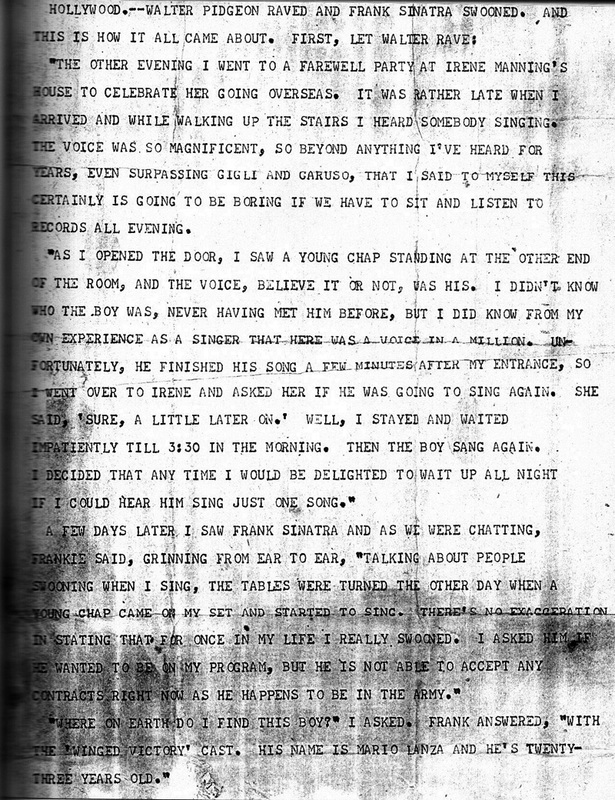 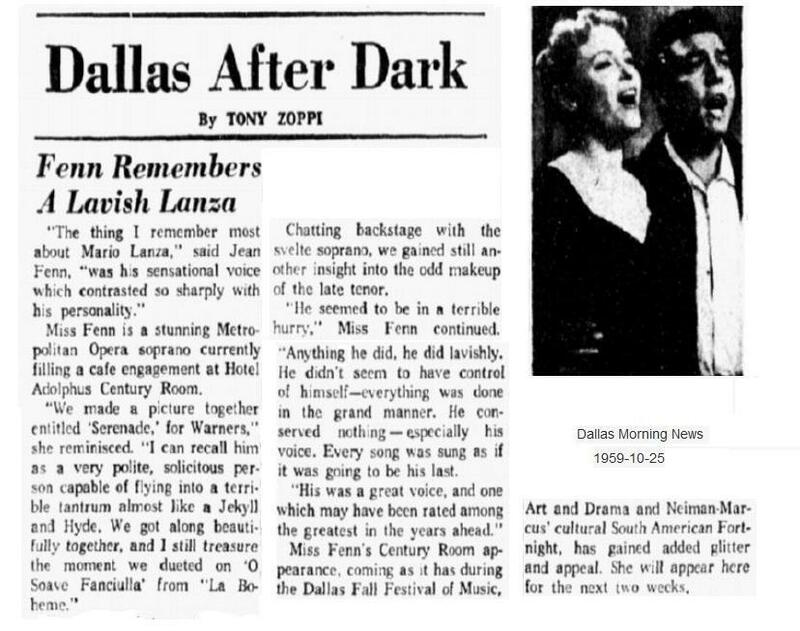 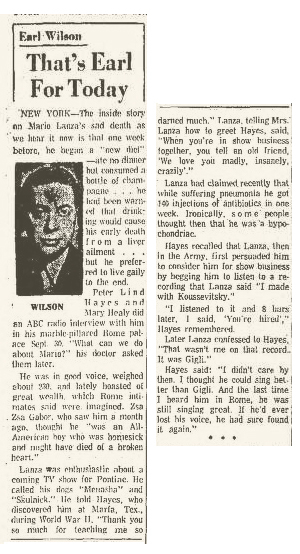 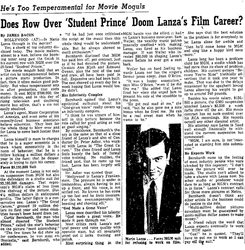 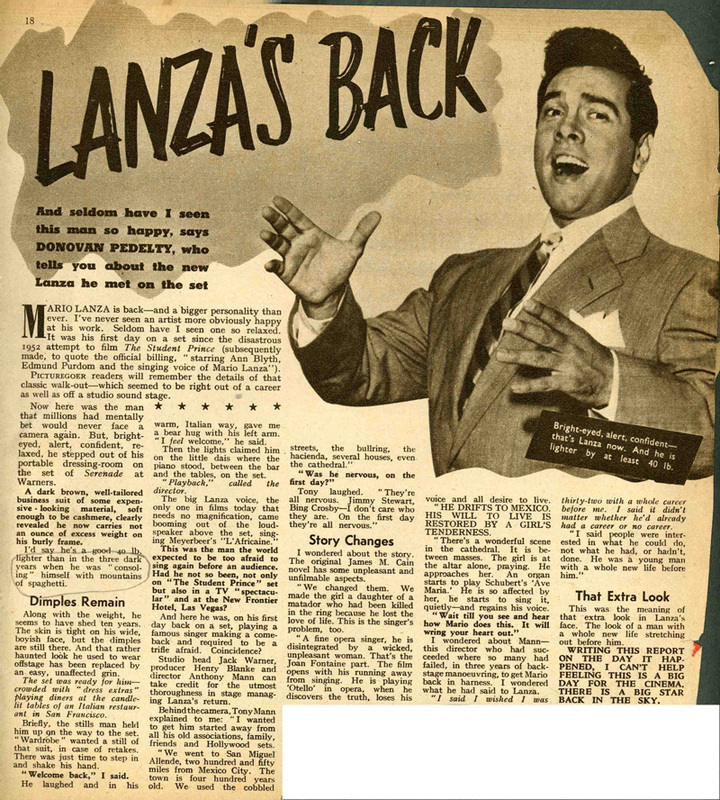 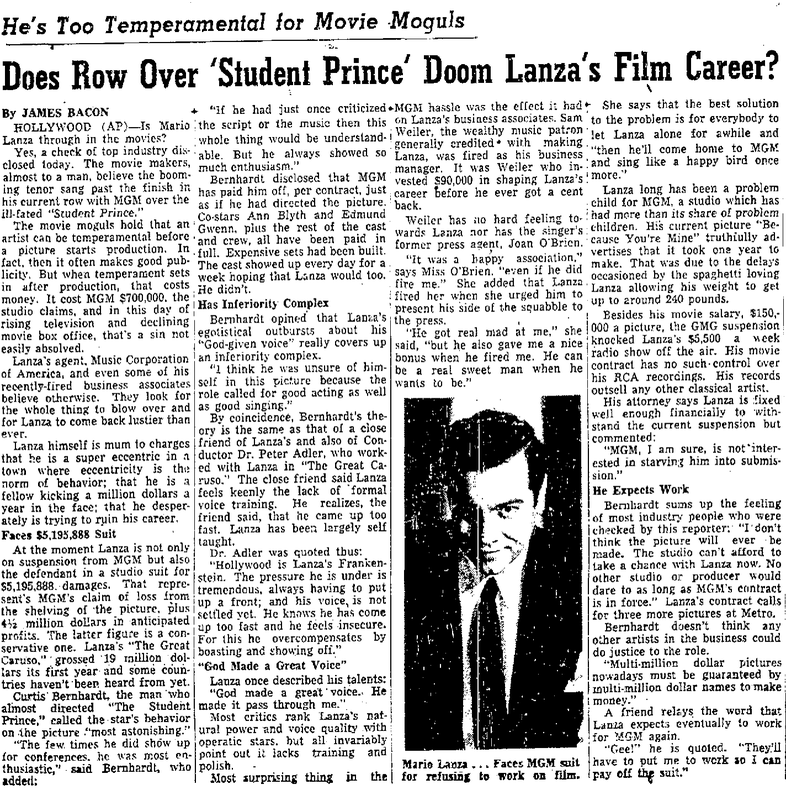 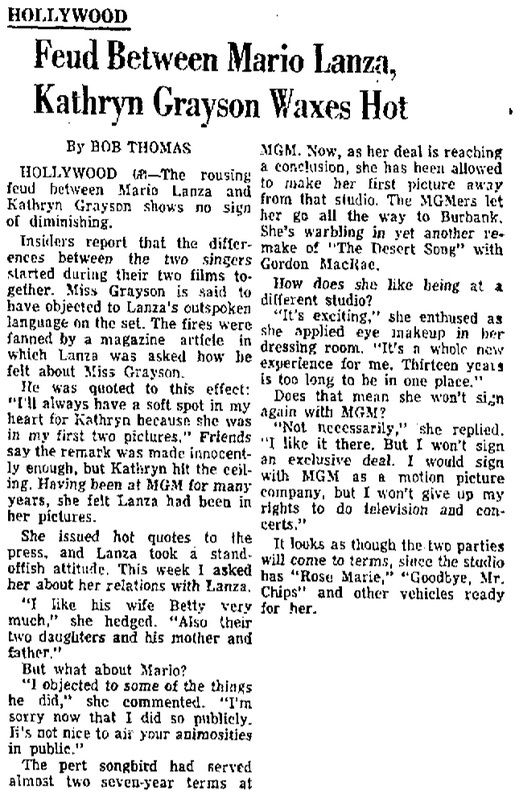 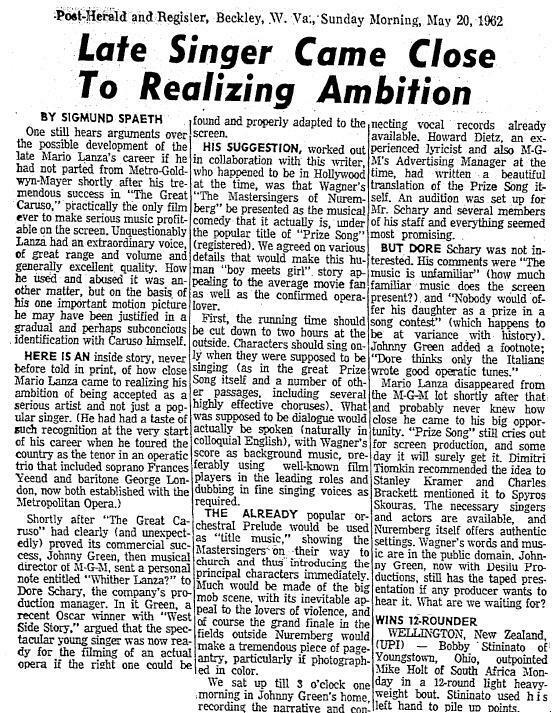 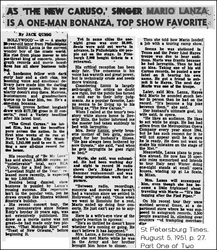 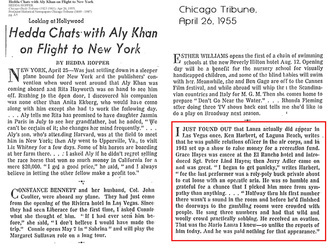 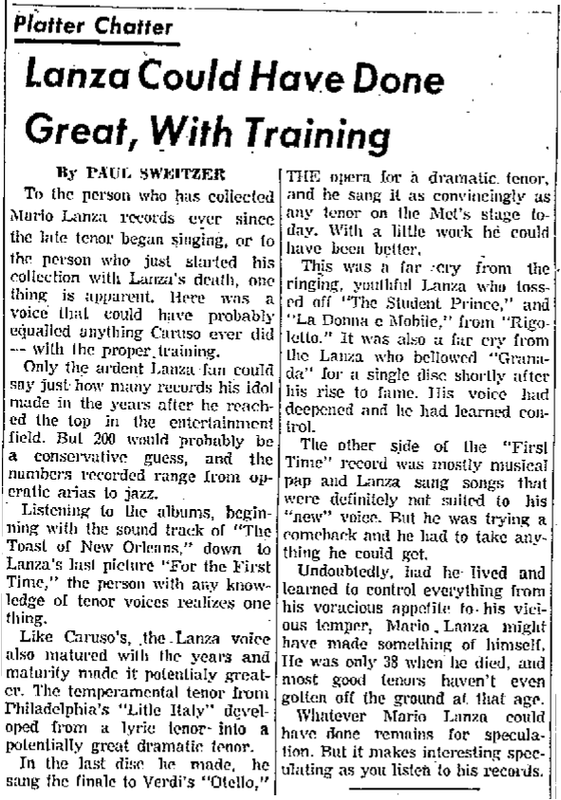 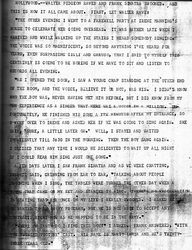 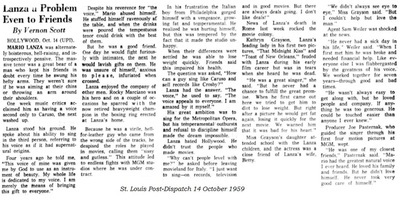 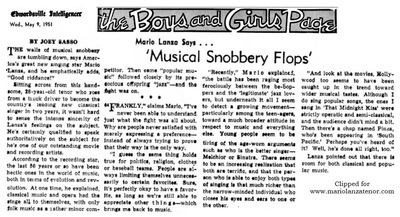 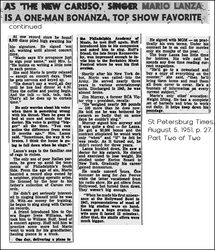 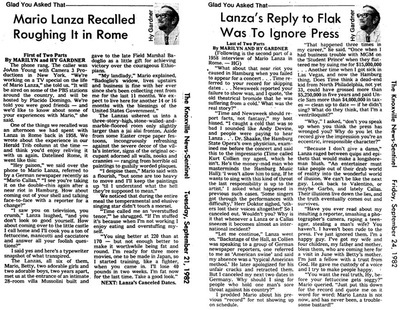 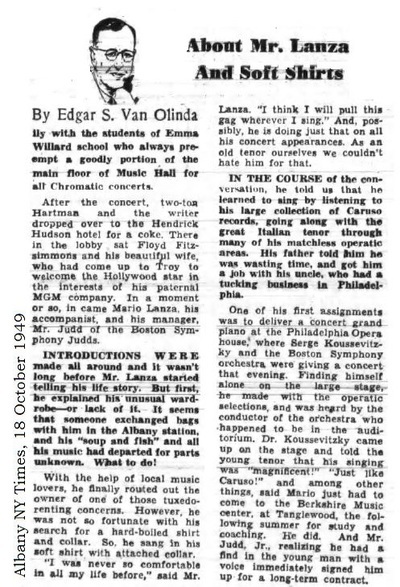 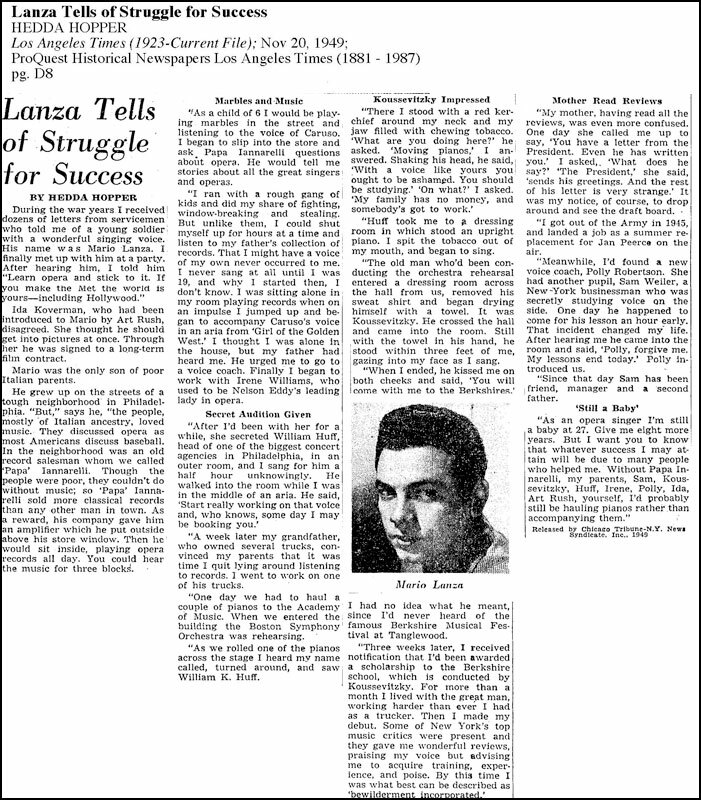 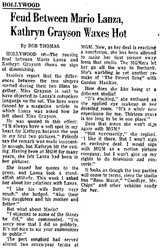 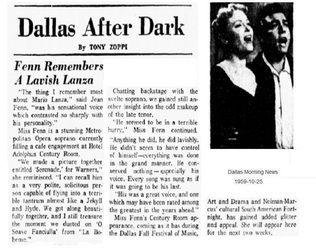 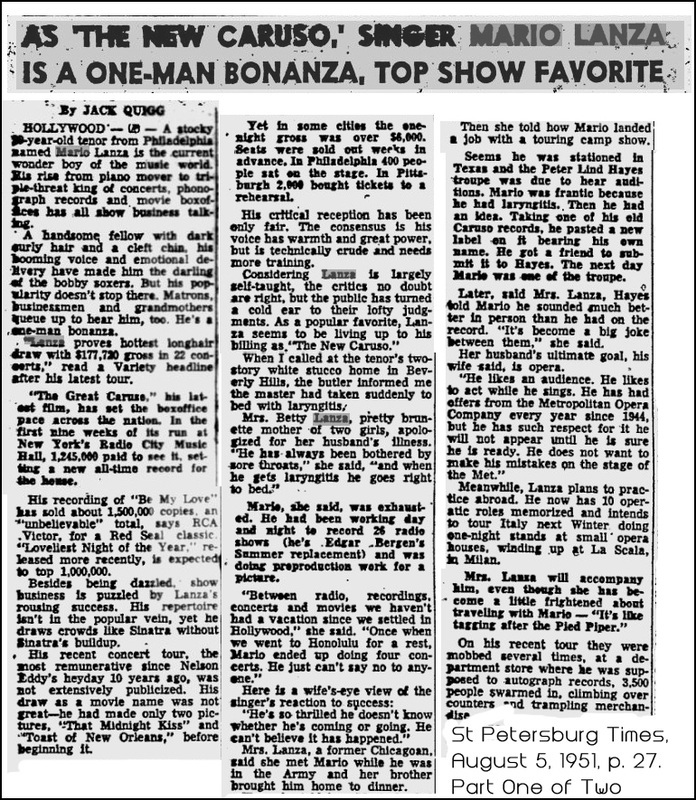 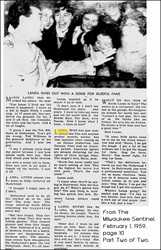 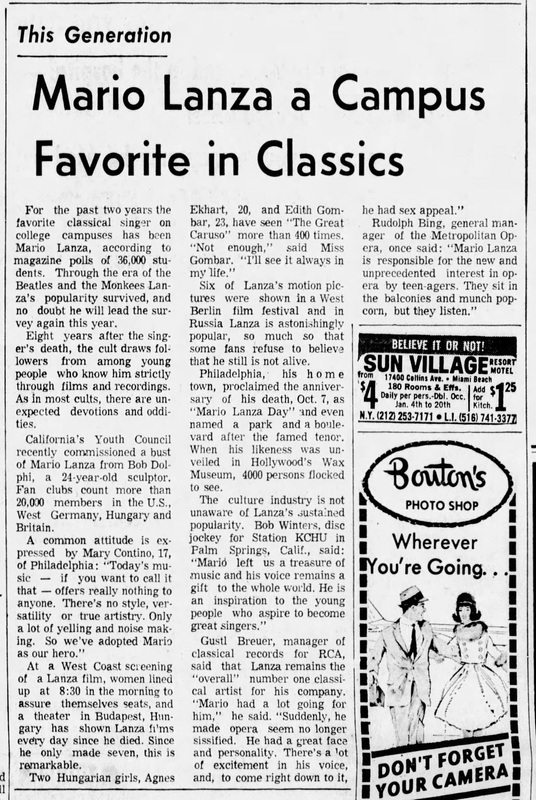 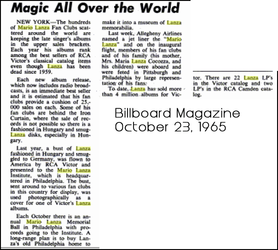 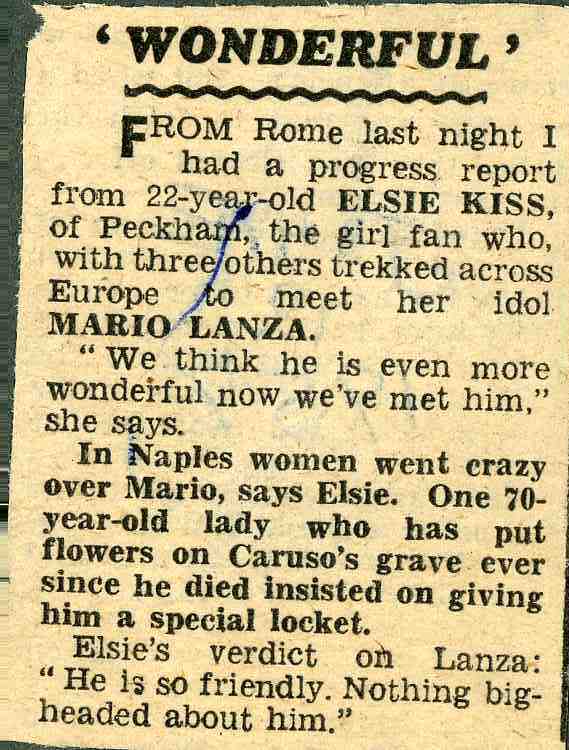 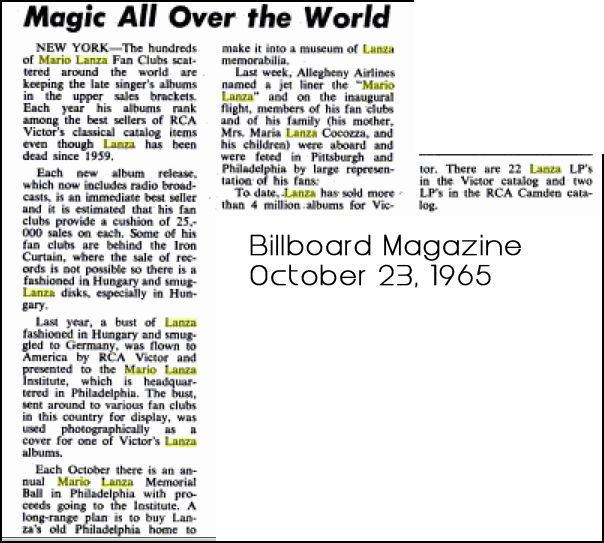 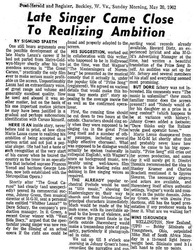 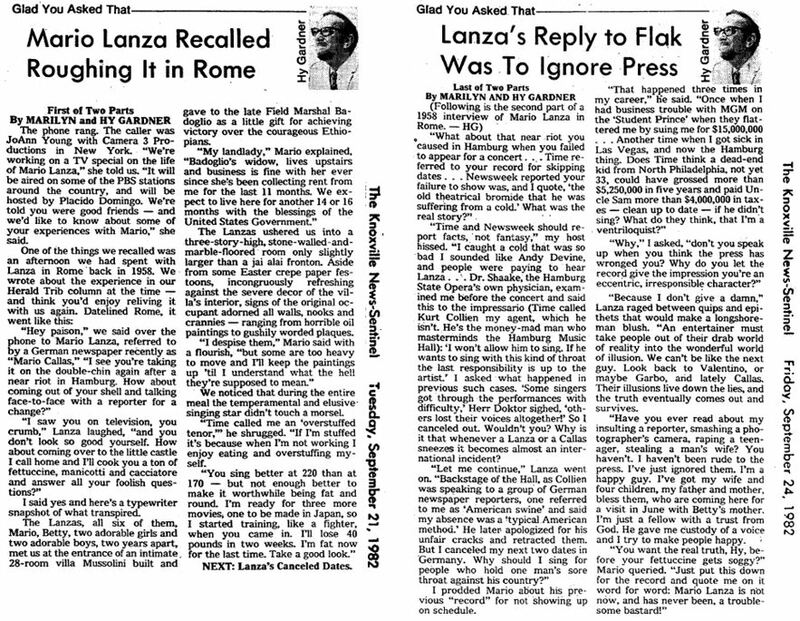 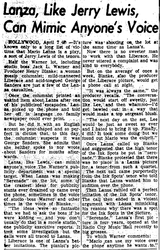 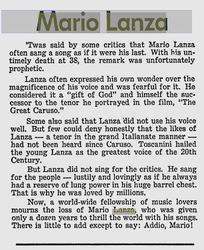 Lanza's life and career were fodder for music critics, serious journalists, gossip and tabloid columnists. 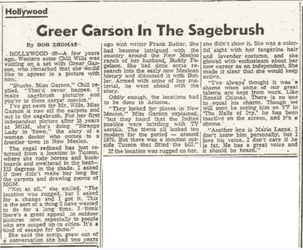 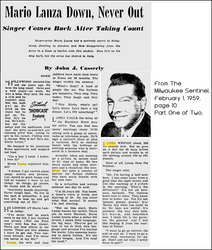 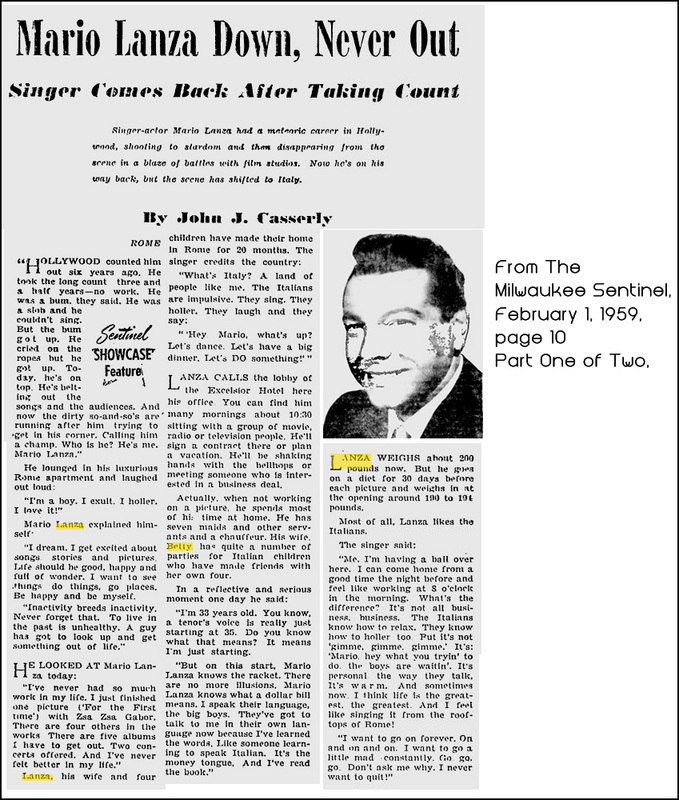 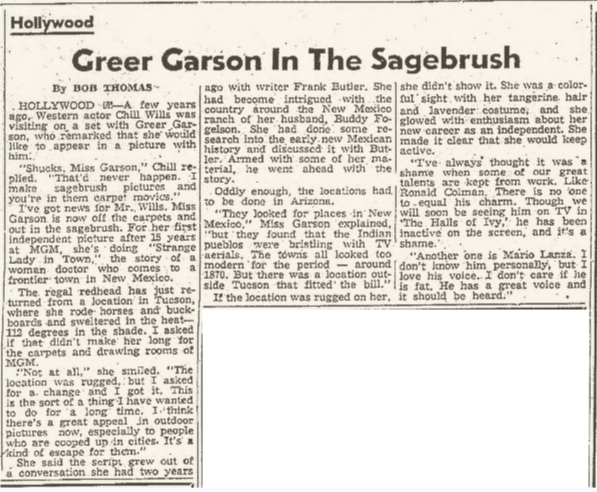 Articles about the tenor and his work appeared from classical musical publications to fan magazines with often dubious relationship to the truth. 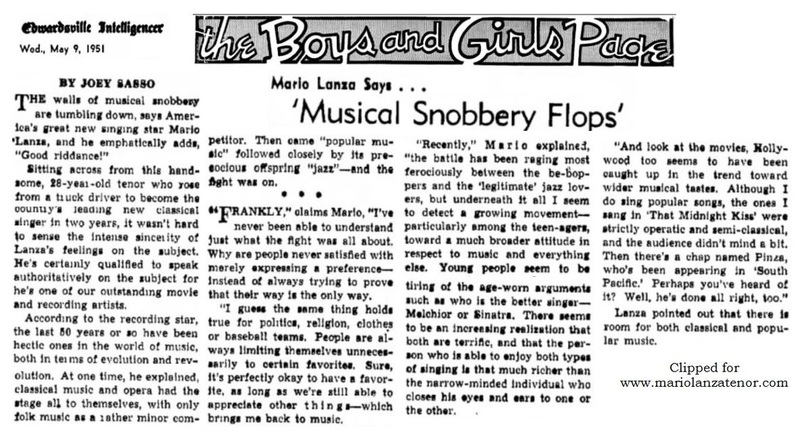 These articles represent only a few among hundreds of publications. 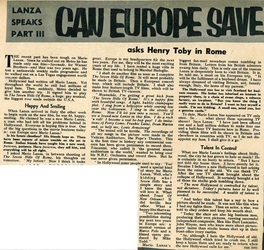 Although some reproductions may be difficult to read, they are the best reproductions currently available.